What is organic food? The 7 principles of organic agriculture. An organic food is one that has been developed using the principles of organic farming in Europe (EC) No 834/2007, which aims to obtain high-quality food, healthy, nutritious, tasty and free of waste, respecting the environment. Preserves both plant and animal biodiversity and promoting sustainable local development and food sovereignty in the territories. 1. Respect the natural fertility of the earth and its cycles. Fertilization organic soil that allows plants are fed a more balanced and thus are less susceptible to attack by insects and fungi. Crop rotation, changing them from place each season to break the life cycle of insects of each crop and thus prevent its spread. Conservation and increase beneficial insects that control pests biologically. The cultivation of resistant varieties. The use of traps and lures for insects. Growing plants that make “insecticides” natural garlic and some herbs, such as parsley or thyme. In contrast, conventional farming typically used synthetic fertilizers, which are environmentally friendly and have a negative impact on biodiversity: For their elaboration usually use non-renewable energy, used in excess contaminate underground reserves of water and its recurring use can impoverish the soil and reduces bacterial fauna. 2. Preserving Biological Diversity: Varieties, species and breeds. Organic farming preserves the variability among living organisms from ecosystems (terrestrial, marine, water, …) then do not use aggressive techniques to the environment as it does conventional agriculture involving the removal of land for flood create reservoirs for irrigation, displacement of wildlife by domestic livestock, the use of pesticides and the introduction of monoculture. 3. Do not use chemicals such as pesticides, insecticides, fungicides or herbicides, thereby minimizing the ecological footprint. The ecological footprint is the impact of human activity on the environment expressed in hectares of land is required for the kind of life we lead. Agriculture and livestock to minimize the ecological footprint in the production of food for our consumption. 4. It does not use genetically modified organisms. Genetically modified organisms (aka GMOs) are plants and animals whose genetic material has been altered through scientific methods. Are prohibited in organic farming for risks that may lead to health (may increase the risk of allergies, antibiotic resistance and possible effects of the immune system), but also by environmental risks and genetic contamination with consequent reduction of biodiversity. 5. Making responsible management of resources. It is a sustainable use of natural resources: water, land, energy required, the waste management and so on. 6. The most respected animal welfare. That is, a place and ensures adequate living conditions for farm animals to prevent their continued suffering. 7. Very restricted use of food additives. Food additives are substances added to food to modify the organoleptic or to improve the preparation and / or preservation. In the organic food are only allowed to use those additives necessary to ensure food safety. How can you identify an organic food? 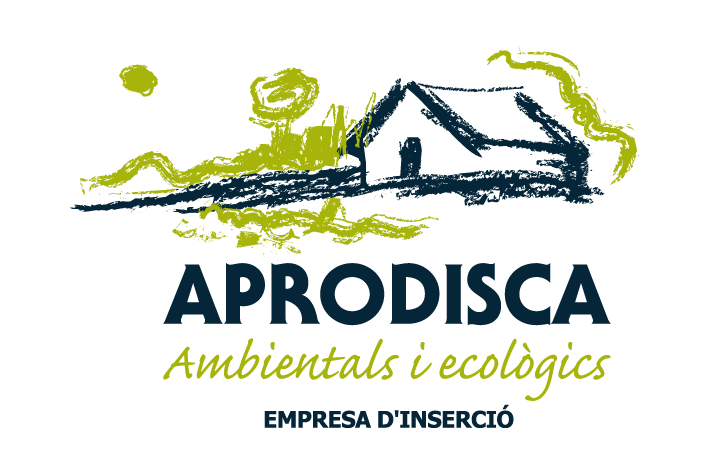 You can find it in stores as of Hortus Aprodiscae the name of ecological, organic, biological, ecological or bio. All other classifications (eg “natural”, “healthy”, “diet”, etc) does not refer specifically to organic products. In addition, if you want a guarantee that it is an organic food must be certified by the relevant regulatory authorities. In the case of Catalan products does the Catalan Council of Ecological Agricultural Production (estates) and the European Union. Identified visually through the seals and the estates Euroleaf.